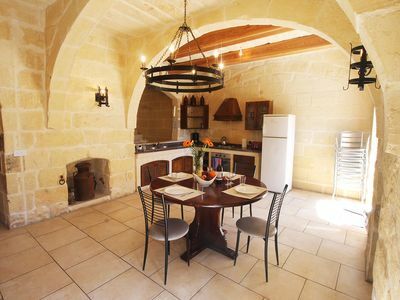 A recently renovated 400 year old typical Maltese low ceiling apartment, which used to be a bakery during the rule of the Order of St John in Malta. 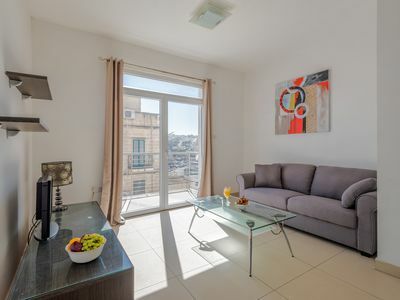 The apartment is located in the heart of this historic UNESCO Heritage Capital in between shops and award winning restaurants and the majestic Grand Harbour, and is within walking distance from all touristic and cultural sites. All restaurants, pubs and cafes are minutes away from the apartment and very easy to get to. Travelling to and from the apartment is also easy: taxis can stop you right in front of the apartment or else you can take a 5 minute walk to the bus terminal where you can catch all busses to all locations in Malta. The apartment is close to two fast-ferry berths. One of the ferries goes to Sliema and the other to the Three Cities. The apartment is ideal for short stays in the city giving guests peace and quiet with all the expected commodities - a king size bed, an en suite walk-in toilet & shower, fully equipped kitchen, TV and Wifi connection throughout. We provide a tourist booklet that will surely help you explore Malta, Gozo and Comino. Maps are also there for the taking. To get you started - we will provide you each with complimentary water, beer, tea, instant coffee, creamers, sugar and coffee pods. The house has USB ports for easy phone and tablet charging. The bedroom smart TV can be used to stream directly from your phone/tablet and runs YouTube, Netflix and other streaming services. If you are 18 years or older on the day of arrival, you will be required to pay an Environmental Contribution amounting to EUR 0.50c per person per night up to a maximum of EUR 5.00. The contribution must be paid separately on arrival to your booked property and is not included in the property rate charged. Noise should be kept down between 10:30pm and 7:00am out of respect for the neighbours. We are not smokers. Smoking indoors is strictly prohibited. The property accommodates two guests. Additional guests are not allowed. We expect our guests to be clean, tidy and environmentally conscientious, switching off air-conditioning, lights and appliances and not leaving taps running before going out. Fees for excessive cleaning are not included in the cleaning fee. We love animals, but this space is too small to keep them happy. Therefore, no pets are allowed.